Buyers have changed the rules. Sellers no longer are in control. To survive and thrive requires a continuous interaction with your customers and your prospects. Listening, observing, asking, and engaging are the key activities that will improve your rate of success. No industry is immune to changing buying behaviors. 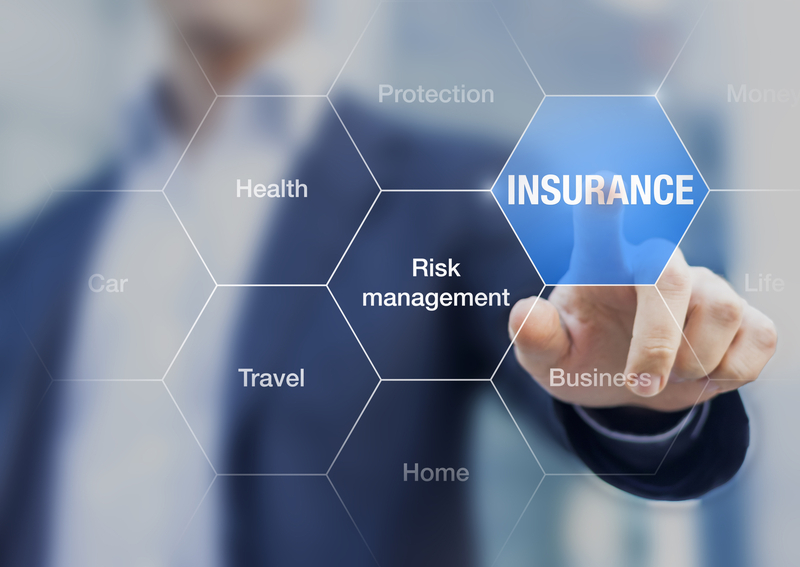 Insurance has long been thought to be a product that can only be purchased a certain way – through an agent or broker. However, as Geico, Progressive, and now Hiscox have all proven this thinking to be outdated. Buyers can, will, and do buy insurance online. Sure, not all lines are yet available to secure via an online option but I believe it’s only a matter of time. Why? Because the buyer is demanding it. In my white paper below, The Future of Insurance’s Agency Distribution Model, I provide insights for carriers and agents alike as to how to think about the buyer’s journey differently. There’s no better time than the present to lean in and get intimate with your buyers to understand what’s important to them today, what’s trending for tomorrow, and what they will demand in the not so distant future. Understanding your buyer’s journey is the first step to delivering explosive growth results. The age of the buyer has arrived and the seller no longer is in control. Buyers today are prospecting more than sales people. How? By scouring the internet and leveraging social channels to learn and make decisions. In fact, if you’re the seller, you’ve become the passenger on this purchasing trip. So make yourself comfortable, stay observant, and most of all have fun on the trip. Your buyers know more about what they need than ever before. There was a time (and it goes further and further back each day) when the buyer had to rely on a sales person to identify his problem and present a solution…the seller’s solution. Not any more. Have a runny nose and sore lower back? A quick trip to the website WebMD can provide you with information on what may be going on with you. You need to put in a new garbage disposal? There are hundreds of how-to videos on YouTube that provide step-by-step instructions that take a job that previously required a plumber and turned it into a DIY project. We have all become addicted to information. In fact, more than 80% of 18 – 44 year olds say the first thing they do in the morning, immediately after opening their eyes, is to check their phones. Information. We want lots of it, all the time. Buyers have this access to information and are using it more and more. They Google, Facebook, YouTube, Tweet, and ask their LinkedIn groups for information, recommendations, and ideas. If you’re a seller without a social selling strategy you’re already trailing the pack. And if you think your product or service is too complex to promote via social channels think again. General Electric has hundreds of videos on YouTube on MRI equipment, jet turbines, and lighting. Toll Brothers, a national builder of custom homes, provides a website that allows someone to design and build their dream home and see it! Buyers are not just using the internet to shop for shoes, sweaters, or books. Having a social presence isn’t enough. You can’t set up a Facebook or LinkedIn page and check off the box and say its done. You have to be active…engaged. You have to create content, share content, weigh in on content others have shared. This is where your buyers are looking for you. Your paradigm must shift. Buyers are now conducting a form of reverse prospecting. They’re looking for you…you just don’t know it. So if you’re a seller, and you’re not visible in the areas your buyers are looking for you, you simply won’t be found. So get started. Take it slow. Don’t try to boil the ocean in a day. A retweet here, a LinkedIn post there, a blog here, are all activities to get you on the road to being found by your buyer. In 2015 I took my first trip to Yellowstone National Park. To be honest it wasn’t my first choice, but it was solidly in my dad’s bucket list and so we made it a “guys” trip. Three generations of DeRosa’s (father, son, grandson) traveling to where the buffalo roam, to see exploding geysers, breath-taking views, and to take in the simple beauty of the land. If you’re in Sales, or any position charged with hitting a revenue number, you’ve got to sell. You need to find buyers, and you need to sell them. Sell them as much as you can, as quickly as you can, to reach your number, celebrate briefly and move on to the next. Right? Buyers have become increasingly sophisticated whether buying a pair of shoes, or selecting a payroll provider, or choosing Tom Ford over Hugo Boss. If you think selling hard, and selling fast is your best chance of success you may want to consider a different career. Today’s buyer wants to be courted. They want to feel special. They want to feel important. They want to believe the option they have chosen is the best option for their need. Notice I didn’t say the buyer wants to have confidence in the solution you sold them. No. They are not to be sold. They are doing the buyer. They want you to be their tour guide. I watched as Kylie, our tour guide welcomed us to a small group tour setting out to see Yellowstone in all its majesty. Her welcome was warm and genuine. She was quick to point out the creature comforts we probably would need for this journey. Blankets, water, soft drinks, snacks, distance between rest stops. She had anticipated our questions and addressed them before they were asked. As we started our journey from the Grand Teton’s into Yellowstone, Kylie provided a history of both parks in a way that only a master-storyteller could do. Her story was highly engaging, edge of your seat, filled with suspense. She educated us on the wildlife ecosystem and how everything was interconnected. I’m embarrassed to say I probably learned everything I know about biology and the circle of life from this tour. Up to this point in my life I hadn’t taken time to think about how life and nature were interconnected. She led us on this journey of enlightenment through her personal passion for the landscape and wildlife within these two parks. It was amazing. In fact, so much so, that we embarked on a second tour a couple of days later with a different focus, in a different part of the park. I’ve often thought about my experience on this Yellowstone tour. I’ve thought about how I was educated in a way that allowed me to fully grasp the concept of a wildlife ecosystem. I think about how my interests in conservation have since grown as a direct result of this new knowledge. I ponder the impact personal passion has on the transfer of knowledge. I do believe that if Kylie simply read a script, or ran through the motions, I would have left Yellowstone feeling quite different…less connected. Her passion created questions of my own. Her stories have become remarkable memories for me, my father, and my son. As a revenue leader it is important to have a true passion for what you do. It’s not enough to be a VP of Sales. Kylie could have been a tour operator for a double-decker bus in Manhattan, but it wouldn’t have served her passion. You’ve got to have passion for what it is you’re selling. What is the ultimate purpose for what you do, what your product does, what improvement it makes in the buyers life. Too many people are occupying positions for a paycheck, not really believing in what it is they are selling. We’ve all done it. The problem is, your buyers can spot a scripted seller miles away and today they vote with their shoes by either walking toward you or walking away. View yourself as your buyer’s tour guide. Anticipate their questions and provide answers before they ask. Make the journey as comfortable as possible. Be warm, be kind, be generous with your time. Study and learn…I mean really learn about what it is you’re selling. If you can’t get excited or enthused about it find a new product to sell. Your goal is to help your buyer through this journey at their pace, not yours. Be the best sales tour guide you can be. In his book, 7 Habits of Highly Effective People, Stephen Covey presents seven habits (and one bonus habit) that he observed made some people more effective than others. Since his passing in 2012 I have revisited my copy of this book on a number of occasions. I have found overwhelming similarities between how these 7 Habits, if practiced consistently, not only produce more effective people but also more effective companies. Over the next week I will highlight each habit and how it can translate into helping you understand your buyer’s journey. Habit 1 is about being proactive and taking responsibility. In business, the leader’s job is to provide the vision for where the company is headed, and is the owner and nurturer of the company’s culture. Many companies delegate cultural ownership to the head of HR or some other executive. But culture is much deeper than simply finding a champion or cheerleader. Culture is about setting a tone, establishing expectations, accepted behaviors, and perhaps the most difficult ingredient of the culture, which is the creation of confidence. The ultimate leader of the company sets the culture even if he or she doesn’t want to “own” it. It just happens. Employees look to THE leader as both watchers and witnesses to behaviors. How THE leader acts and behaves is how the entire organization will act and behave. 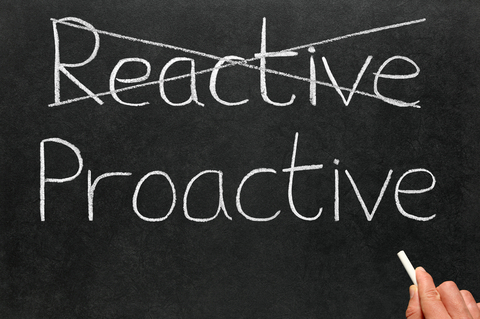 If the leader is proactive, the company will be proactive. If the leader hides behind walls, doors, and desks, the entire company will hide from its customers’ behind walls, doors, and desks. To be proactive requires a great degree of curiosity. It’s the ability to wonder what if, what could be, or how could we? The ultimate one word that demonstrates just how proactive someone is – “why”. When you ask “why”, you’re being proactive. Think about it. If Thomas Edison never asked why, would we have lights? If Steve Jobs hadn’t asked why, would we have many of the modern-day conveniences and access to information that we have today? There are thousands of examples of how asking why delivered major inventions or innovations to our society. If no one took the time to ask why, we’d simply all be sitting around, idle, stagnant, and unchanged. As you look at your buyer’s journey ask why? Be proactive. Don’t wait for a major disruption or crisis to force your evolution. Get out in front of it. Take every opportunity to talk to your customers and ask questions, get their ideas, opinions, emotions. Don’t rely on paper, or automated survey’s. Engage them live, in real time. Be bold, brave, and most of all be proactive in understanding what’s important to your buyer. What Happens When The Suits Meet The Customers? 3 Outrageous Stories. As a self-proclaimed buyers journey geek, I love watching and observing buyers during their buying process. In fact, there’s only one thing I enjoy more than watching the buyer, and that’s watching “the suits”. The suits are the folks that work for corporate. They arrive either on their magic carpets or white horses. Decked out in flowing robes, the suits have arrived to pass the ultimate judgement on how things are going with the business. They travel in packs, Starbucks in hand, and armed with Harry Potter’s cloak of invisibility. The moment they walk through the door all activity seems to go into suspended animation. Time slows…painfully slow. Just what does an experience with a suit look like? Below are 3 recent examples where I have observed the suits in their “unnatural habitat”. I ask you think about these examples and whether you, or your company operates in a similar manner. Next week I’ll provide alternative strategies that demonstrate how you can turn the time the suits spend at the business into revenue. Large national discount retailer, selling name brands for less. I accompanied my wife to the store as she had some “things” she wanted to look at. That’s code for it’s going to be a while. I sat at the front of the store watching customers go in and out. It was busy. The cashier line was never shorter than 10 – 12 customers deep. The suits had arrived, dressed to the nines, Starbucks in hand, trying to be inconspicuous but looking as out-of-place as a surfer would in Syracuse in January. They huddled around one another, not separating more than a couple of feet from one another. After all, you never know when one of these customers may get a little nutty. In 30 minutes, I watched as not a single suit said hello or smiled to engage a customer. I think they actually thought they had Harry Potter’s invisible cloak on. As my wife finished shopping we got into line to cash out. The tension at the register was real…fear. Our cashier asked her manager if she thought they would be getting a “5 star rating”. The manager looked like she was about to throw up and said “I don’t think so.” Mission accomplished for the suits. They successfully avoided customers and proceeded to collapse employee morale…all in about an hour’s time. Perfect! Large grocery store chain operating under a number of different brands in the northeast. Call me crazy but I’ve always enjoyed grocery shopping. It was Sunday morning two weeks ago and I went to “our store” to do our weekly shopping. The store was a madhouse. Lines at every check-out lane and cashiers who looked ready to drop even though it was only 9 am in the morning and the day just started. Huddled together at the front of the store the suits had their arms folded, whispering to one another with one hand covering their mouth…as if they were calling plays into the huddle for the Philadelphia Eagles. More than half the registers were closed. It took 30 minutes to check out. The suits never moved. Never spoke to an employee let alone a customer. Mission accomplished. They now know what was wrong. Not enough cashiers on Sunday morning at 9 am…except this past Sunday nothing had changed…another 30 minute wait to cash out. Regional tire and auto service business. I took my wife’s Chevy Tahoe in for a standard oil change and tire rotation. Got there a few minutes before 8 am (opening). Spoke to Sam at the counter who told me they’d have me in and out in no time. That is actually why we’ve been going there for the last several years. They know us and treat us great. But not today. I asked for Mike and Bill only to be told that “they left in the last month”. Hmm. And so it began. The technician pulled my vehicle in at 8:10 am, put it on the lift, and then got some coffee. At 8:30 nothing had been done to the truck. He was having a donut. At 8:45 am I asked Sam for an update and he told me the tech would get to it soon. The Service Manager was hanging out in the garage area where there were 3 other techs… my Tahoe being the only vehicle in the garage. After several failed attempts to get his attention I blew past the warning sign on the door that says “For Insurance Purposes Customers Cannot Enter The Garage Without Being Accompanied By An Employee.” I called the Service Manager and he came over. When I asked him what was going on with my truck he looked as if I had asked him to calculate the hypotenuse of a triangle. He went over to the tech who was now on his 3rd donut…no lie…and said something that caused them both to turn and look at me simultaneously. Awkward. At 10:05 am I pulled out of the parking lot for something that should have taken less than 30 minutes. Mission accomplished. Avoid the customer, duck and cover, and talk about them in the most obvious way. You just can’t make things like this up. It doesn’t matter if you’re a start-up, or a business that’s been around for 50 years, your buyer has changed. He changed last month, last week…he even changed yesterday. Thanks in large part to Moore’s Law (technology doubles every two years), we know that his access and availability to information is endless. Today’s buyers are more connected, more savvy, more social than ever before. In fact, it’s likely your buyer will know more about you than you know about him before you ever meet one another. That is if you ever do meet one another. We have all heard the statistic that 92% of all B2B purchases begin online. That means that 9 out of 10 prospects will be checking you out well before any meeting ever comes to fruition. We also know that many sources report that at least half of the buying process is complete before the buyer ever meets a sales person. For some companies like Amazon, Apple, and Tesla, they thrive on this disruptive buyer. The buyer who shops at her own pace, educates herself on what she wants, with the content she wants, and from the sources she wants it from. For other companies perhaps not as sophisticated in their understanding of this evolution…this buyers journey…the need to gain this understanding is critical. It’s urgent. It’s truly about survival. To map your buyer’s journey requires time, access to customers willing to participate and answer questions, and likely the most important requirement being the business’s willingness to listen and change based upon these findings. This is critical work, not easy, but certainly doable. The rewards of understanding your buyers are many. The risk of not understanding your buyer is simple…irrelevance that leads to extinction. Open-mindedness. Start this work with a beginners attitude. If we were launching today, knowing what we know, what would we say to our buyers, how would we say it, when, and where would we say it? Honesty. If your brand promise is “fast and easy” but your delivery is slow and confusing be honest about it. Guess what, your buyers already know this about you. Resist the denial urge. Customer mindset. Our buying habits and expectations as consumers are gradually following us into our business lives. If I can buy a new computer fast and easy at home, I expect to be able to do the same thing at work no matter what product or service I’m shopping for. My expectations for speed and ease, transcend the business experience. Acknowledgement and Acceptance. All change requires acknowledging there’s a better way, and accepting the fact that we will have to do something(s) different to achieve that better way. Action. Be ready, willing, and able to act. Some people, and businesses, are ready for a different outcome, but are not willing or able to implement the change required to generate that better outcome. Change only happens when a different action is taken. The age of the buyer is here. Those who decide to align their business around the buyer will survive and thrive while those who still believe they control the sale will slowly fade away. Your job is to understand how you can best facilitate your buyers process – their journey – not your sales process. Helping and serving have become the keys to success in the age of the buyer. Now you just need to know where to help, and how the buyer wants to be served. The Disruptive Buyer: A Cautionary Tale of Change. The business owner sat behind his desk staring out the window. He started his business 7 years ago and for the most part things were okay. He made it past the infamous first year when most start-ups go under, but it wasn’t easy. His sales were consistent, but flat over the past 3 years. Running a business was one thing, growing it was quite another. Like every business owner shopping for new products, he reached for the yellow pages and flipped to “W” for widgets but found nothing. How could that be? He thought some more and flipped to section “G” for growth. After all, the purpose of super widgets were to make businesses grow faster. Although his guess was correct, he wondered how long he would have looked if it hadn’t been. He would have kept looking if he hadn’t found them in this section, after all, the yellow pages is only so big. He found 2 pages of companies selling widgets. He wrote down the names, and phone numbers, of 5 businesses that sold these widgets and began dialing his phone. With each click of the rotary dial he was introduced to a sales person who offered to send him a packet of information which he’d receive in the mail in less than 10 days. This excited the business owner. In no time I’ll be making more money because of these widgets. Two weeks past and the business owner sat in his office looking through 5 different packets of information from each of the companies he had called. From there he narrowed his search down to the 3 companies whose brochures most appealed to him. He decided to begin making phone calls to these 3 companies immediately. As he made his calls, each sales person sounded identical to the other telling him how long they’d been in business, why they different, and how happy they had made all their customers. One specific sales person asked about his kids and right then and there the business owner was hooked. He had made his decision on who he would buy from. It was this sales person who asked about his kids that he liked best. “She shares the same values as I do,” he thought. She cares about my kids and my family. And with that he gave the order over the phone to purchase 5 super widgets. He hung up the call excited to receive the purchase order in the mail the following week. In no time he’d be up and running with his super widgets. In fact, it only took 3 – 4 weeks to receive them once his sales person received his signature on the purchase order and his payment in full. He sat back in his chair and thought about how easy buying these widgets was. It only took a matter of weeks to educate himself and less than a month later to select a provider and have his super widgets in hand. This was great…so he thought. Remember when? It wasn’t really all that long ago that this is how buyers made their purchasing decisions. It’s how you and I both bought products and services. It’s how we all shopped, considered, and purchased. We relied on the information we were “allowed” to have by the seller along with the claims and promises made by the seller relative to the value delivered by their products and services. We knew just what the seller was willing to release and not much more. You could say we were a lot like mushrooms just a short time ago. Kept in the dark and fed a lot of…. But that’s all changed. The age of the customer is upon us. She’s educated, connected, and socially engaged. She wants information. She wants a trusted advisor. She doesn’t want to be sold. She doesn’t need to be sold. She simply wants someone to help her along her journey, not the sellers journey, but her own personal journey. If how you’re going to market still approaches the buyer like it’s 1999 I would ask two questions. First, why? And second, how’s it working for you? At the recent Digital Growth Conference in San Francisco, Jill Rowley, Social Selling Evangelist, talked about the disruptive buyer. A sales persons job today is to “facilitate the buyer on their journey, getting them ready to buy.” Quite a different and refreshing approach to selling. A salesperson can no longer survive by having the brightest, shiniest widgets on the market. They must have strong business acumen. They must know how to use the tools at their disposal. Jill’s point of “a fool with a tool is still a fool” is quite thought-provoking. It’s also still how many companies operate. Produce the cool tool and let Sales run with it. Bad idea. Your buyers are way too sophisticated to simply follow the shiny bouncing ball. And not only will they not follow the bouncing ball, but they’ll kick it…hard…in the other direction making you have to chase after it to try to catch it. Your job now is to be where the buyers are, and answer their questions where they raise them, when they raise them, and how they raise them. Build it and they will come no longer works. Leading with the sale equals failure, while leading the buyer to the sale equals success. Why as consumers don’t we want to be pushed, prodded or strong-armed into a sale? We don’t like pushy sales people in our personal lives yet in business we direct our sales people to be exactly that. A robot can twist an arm, mail a piece of content, and do an online demonstration. That’s not what the buyer is looking for when she finally engages with a sales person. And forget value. All this talk about presenting value is overrated. What is value? In a recent study conducted by Sirius Decisions, the number one reason sales people lose a sale is because of the sales persons inability to effectively communicate the value proposition. Your buyer is now the disruptor, more so than technology. She now drives the sales process, you don’t. She has all the control because she determines what information she wants, from who she wants it, when she wants it and how she gets it. She has access to social platforms that provide feedback about you, your product, your company, your brand, your reputation. She knows what you sell and how closely it delivers against your brand promise. The slightest disconnect between your brand promise and the experience delivered and you’re out of the game, kicked to the curb. It’s your job to be engaged socially where she is shopping and learning. You need to be there at the right time with the right content to help her through her journey. She doesn’t want to be sold. She won’t be sold. She wants to be advised. She wants information. She wants hero stories…how others like her have benefited from following your recommendations. She wants to feel connected to you and your company. She wants to understand your brand…both brands…that of your company’s and you personally. She won’t settle for anything less. The age of the buyer has arrived. Each buyer is unique. Each is on his or her own personal journey. Each favoring different points along that journey where they need or want help. So are you still leading with a sale, or leading your buyers through their individual journey to a sale? It’s time to answer that question.